Where: Laskay Hall, 12840 Weston Road, King City. From Toronto, 400 Highway north to King Road exit, west (left) to Weston Road, south on Weston Road. Description: No charge. With Hugh Barnett, professional actor, musician and a founding member of Humber River Shakespeare. Hugh was a researcher & co-creator of the theatrical and musical component for the Humber River’s 10th anniversary as a designated heritage river celebration at Etienne Brûlé Park last year. A panel of experts will weigh in on this controversial topic and attempt to settle once and for all the legend of Etienne Brûlé and his stake in the early European history of King Township and the Toronto region. this was an interesting event where I was invited to be 1 of 4 presenters. Based on where this was hosted and by whom I anticipated that most of the panelists would speak in support of the Carrying Place Trail (Holland/Humber)as the route of Brule in Sept 1615. To my surprise and that of the audience I am sure, not one of the panelists supported this route. I spoke on a purely speculative route of going from Lake Simcoe (Kempenfelt Bay)over the 9 mile portage to the Nottawasaga River, south to the Alliston area, over a portage to the headwaters of the Grand River (west of Shelburn at the Luther marsh)and down the Grand to the east end of Lake Erie. The nice thing about talking about Brule is that his time here was never recorded by him and only picked up as second hand stories reported by others. 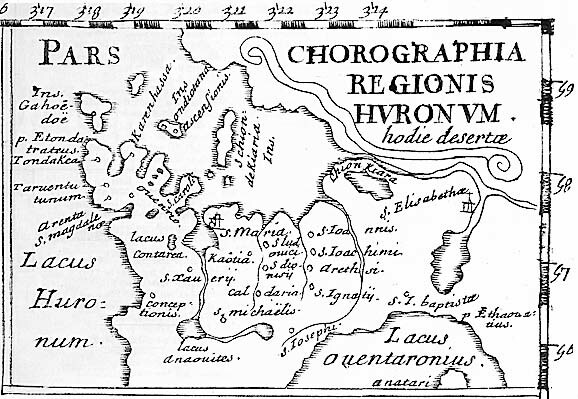 It is not possible to be definitive about much of Brule's adventures and his route from here to his objective village in 1615 will most likely never be known.